Side view of Art Deco hanging wall mirror by Color & Mirror. Deco wall mirror with blue glass mirror photographed at Color & Mirror studio in Detroit. 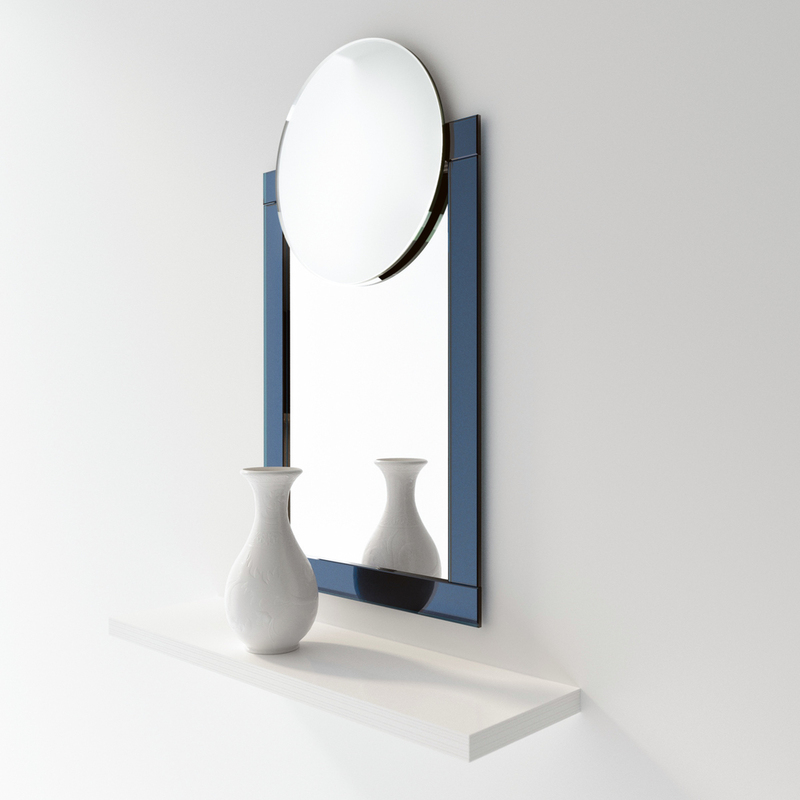 This blue mirror has been used to compliment vibrant interior spaces that have a diverse, colorful palette. The machine age shape and Art Deco geometry make for a unique compliment to any 1920s or 1930s inspired living space.